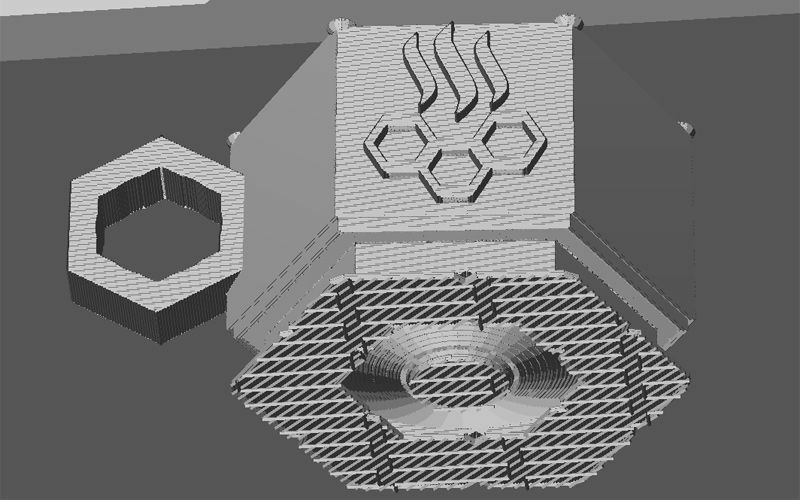 Before I go on with explanation of Raft and Support and why and how you can or need to use them I’ll have to go for a sample 3D model meant for 3D printing that has the right design for my specific needs. As going only with some short text explanation might be hard if you are novice to 3D printing, so instead I’m going to show you how and when you can take advantage of these feature as well as why they can be helpful if you are having trouble 3D printing some things. The good example I’ll be using is a new 3D model of a 3D printable espresso coffee cup you see on the image above. A Word of Caution: It is not a wise idea to 3D print models such as cups for hot drinks from thermoplastic materials and then use them to hold something with a high temperature such as tea, coffee, or even water! The use or not of Raft is one of the basic 3D printing options that you have available as I already explained in the previous Blog post from the 3D printing series of articles I’m working on. Raft is a special additional base that is being 3D printed below your actual 3D model. It is being generated automatically for you if you activate the feature. You may need to use it if your 3D model has a very small base and is having issues sticking to the build plate for example. It could also help with larger 3D prints where one of the edges of a larger base of the model starts peeling off the build plate, you would of course need to restart the print. I bet that as a novice user you don’t see any potential problem in 3D printing this espresso coffee cup on your new 3D printer, but as you gain some actual experience printing things you will start to notice these just by taking a quick look at the 3D model. It is not necessary that you might have issues printing the 3D cup, but there is the potential for issues on some 3D printers. I’m saying on some 3D printers and talking mostly about FDM/FFM-based devices, because these ate the most commonly used devices by home users. On a high-end business class 3D printer that may use other materials such as ceramics or metal you are much less likely to have a problem because of the different way of doing things there. 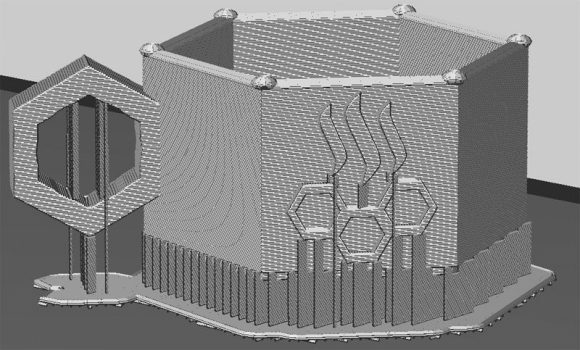 So back to the potential problem that the use of Raft may resolve with this 3D printable coffee cup used as an example. The base of the cup has very little contact surface with the build plate of the printer. If the first layer of the print does not stick very well to the printing base you might experience unsuccessful print soon after the model starts to get printed. This can happen as the print head moving around and building layer by layer can apply some pressure on some of the sides of the model and cause it to detach from the build plate if it is not sticking well. This may never happen of course and the 3D model may still finish printing without an issue even with the small contact area it has with the build plate. By activating the Raft option in the 3D printing settings what you will be getting is the 3D model you want printed to rise by a few millimeters and some automatically generated structure will be added below it. That structure is the so called Raft that will expand the contact surface with the build plate (base) between the 3D printer and the 3D model you are printing. Don’t worry, the extra material added at the bottom of the cup is not that much and it is easier to remove from the base and from the 3D printed cup or whatever model you are using. The side effect when using an additional Raft is that the base of the cup may not be as even and flat as it would be if it is directly attached to the build plate without the additional Raft. This you can still easily fix with some sanding of the base of the 3D model, but it does require additional attention. Of course this may vary from printer to printer and from model to model that you print, so it is not an always needed additional step to perform. Another issue that using a Raft may help you with is when you are printing a larger 3D object and one of the edges starts detaching from the build plate as the model is being printed. You can still get the model to finish printing if it has a larger contact surface to the base of the 3D printer, but it will be slightly deformed at the problematic edge. Activating a Raft is such a case can be helpful, though may not always resolve the issue as it may be caused by a serious problem with the leveling of the build plate. That however is another different issue that I’ll be discussing about at a later time and not in this post. Support is additional structure that also gets automatically generated and added to your 3d model in areas that need some additional material to assist in properly printing them. There is no way a 3D printer can print a part of a 3D model that just hangs in the air and has nothing to hold it to the base of the printing surface, this is where the additional support material comes to help and resolve the issue by allowing you to print the model. After the print is ready you can just remove the extra support material that was used. 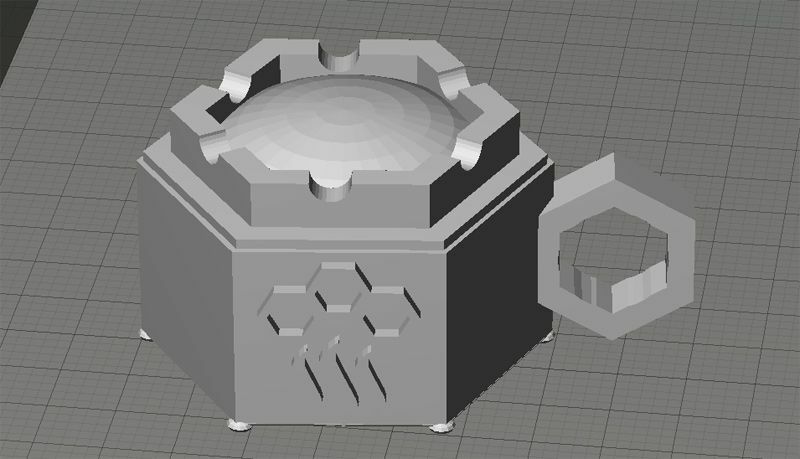 So time for another look at the 3D model of the cup in the 3D printing software, in this case the software is MakerBot Desktop used by the 3D printers from MakerBot like the Replicator 2 that I’m using. Reading the description above and looking at the model you should quickly realize that the cup handle is mostly there in thin air with no connection to the build plate. This means that when the 3D printer reaches the lowest part of the handle it will just start to extrude material in thin air and the 3D print will essentially fail with an incomplete cup. That is if you don’t add Support material to assist in connecting the parts that hang in thin air to the base of the 3D printing surface or other parts of the 3D model. If you activate the use of Support then the slicer (printer software) should calculate automatically where it needs to add them and will apply them where needed – you will see them added in the preview window before starting to print. The software for 3D printers is usually pretty smart and does a good job at adding Support material when needed, but sometimes it may fail to do its job properly and unfortunately not all slicers also come with the option for the user to add manually additional support structures or to remove existing ones. As you can see on the above image the slicer for the Replicator 2 3D printer did a pretty good job on adding Support for the handle, only as much as really required. It also has added some support material to other areas of the 3D coffee cup – some at the base and some even on the steemit logo on the side. 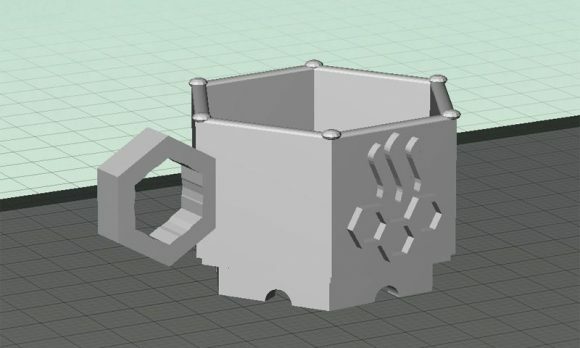 Some of these areas could do just fine even without support material, but the handle of the cup cannot simply be properly printed on an FDM/FFF 3D printer without the use of Support material. 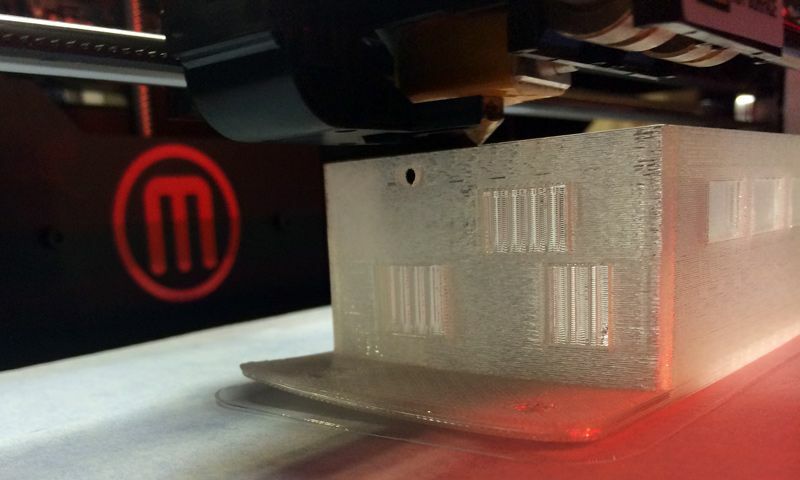 Unfortunately the MakerBot Desktop software is one of these slicers that does not yet have an option to allow the manual addition or removal of support structures, so you are stuck with what the automated algorithm does. When is Support material usually a must have for proper printing? The answer of that question is a bit harder as you will learn yourself as you gain experience printing different things. As already mentioned in the case of the cup handle it is a must have, but some of the other parts where Support structures were added may just do fine even without the extra material. They could either print just fine or with some tiny defects that should not affect much the general appearance and usability, there are some simple rules that can be helpful however. The use of Support structures is a must when you have elements of an object that are horizontal and/or point at a downward angle like in the case of the cup handle without them having contact with the base (they need to be printed in thin air and there is no way that will happen). If something is horizontal and in thin air, but is just a few millimeters short like the steemit logo on the cup you might up getting lucky even without support structures and getting either a good print or slightly not so good at the bottom. If you have a part of the 3D model that is at steeper angle, not pointing down, but up instead like the upper half of the cup handle next to the main body of the cup you should be able to do fine without support material in most cases. If the angle is upward, but just a few degrees from the horizontal level you might be lucky without Support structures if it is just a few millimeters long, but if it is longer it will still require Support material. If you want to have a successful 3D print of the coffee cup that I have used as an example for this Blog post about 3D printing you will have to use both Raft and Support. I hope that by this moment you have understood what exactly each of these two functions does and when and why you need to use it. If you still have some doubts, don’t worry, you will quickly get the hang of it when you print some 3D models successfully with and without Raft and Support structures and when you get some failed prints and you analyze what went wrong. Now for the coffee cup and why you need to use both for a successful print. Normally the cup might have been just fine for 3D printing without Raft if it did not require the use of Support material for the handle. 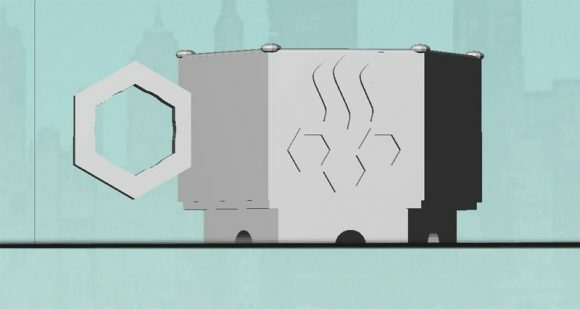 When you activate the generation of Support material the base of the cup gets some extra contact surface to the build plate thanks to the extra support structures added. However the support for the handle is very thin and as a result there might be issues with it sticking to the build plate and remaining stuck to it as the printer goes up layer by layer building up the cup. The potential issues that can be caused by the small contact surface of the support material can be avoided with the addition of a Raft. 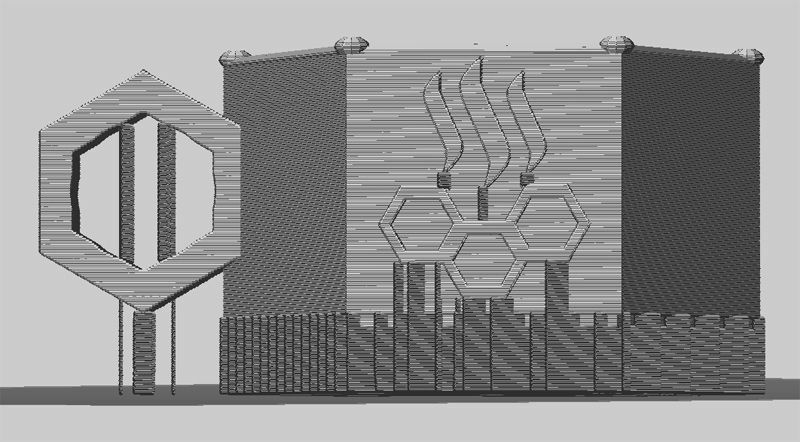 So in the end you will need both Raft and Support activated to get a good and successful print of the 3D model of the coffee cup, don’t worry, you should be able to easily remove the extra material added by the two additional options.